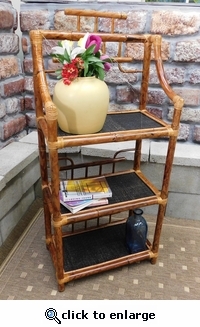 This beautiful shelving unit has been hand constructed out of the finest rattan available, and is waiting to be placed in a room of your choice. 3 Open shelves give you plenty of room. Available in an Antique finish.